Other names: True Cinnamon​, Canela. Coumarin content: 0.017g/kg (the lowest level of all types of Cinnamon). Colour: light to medium reddish brown. 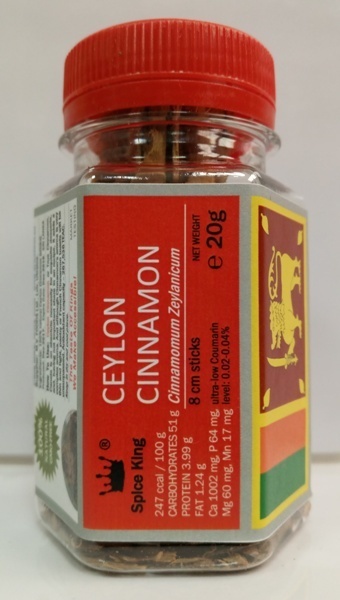 How To Use: Ceylon Cinnamon or True Cinnamon, Canela is an absolute necessity for exquisite desserts, and, having not important share in an recipe, it adds a complex aroma. And although Cinnamon’s aroma is very thin and light, pastry or French Cinnamon toasts will be unsurpassed. Antioxidant capacity – 267,536 TEAC.